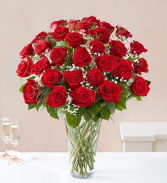 Our luxurious long stem red roses are the ultimate surprise to say “I love you.” Two, three or four dozen radiant blooms are artistically arranged inside an elegant glass vase and personally hand-delivered to help you say how you feel in a truly romantic way. 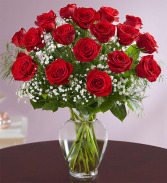 Our premium long stem red roses are an elegant surprise for the one you can trust, the one you can turn to, the one you love with all your heart. 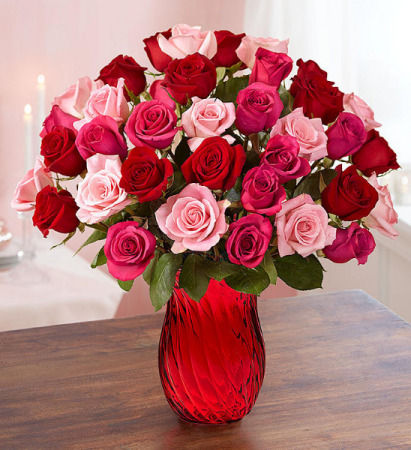 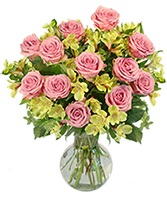 Beautifully arranged with lush greenery inside a classic glass vase, 18 radiant blooms are hand-delivered and ready to delight them for any romantic reason.